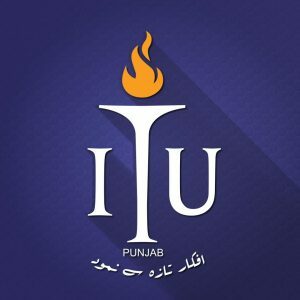 Information Technology University (ITU) Punjab has produced first batch of 210 software, electrical engineers and master’s degree holders with a dedicated purpose by training them hard under the World’s best faculty and in the state of the art labs. ITU’s founding Vice Chancellor and Advisor to Chief Minister Punjab, Dr. Umar Saif said while addressing a large number of CEO’s and representatives of the hiring companies of international repute here today. The ITU’s first Job Fair for the first batch of 210 students from BS Computer Science, BS Electrical Engineering and third batch of MS Computer Science graduating this year, held in collaboration with Punjab Higher Education Commission. The Chairman Punjab Higher Education Commission, Dr. Nizamuuddin was the Guest of Honor. Dr. Umar Saif said the the graduate batch of ITU year 2017 has a wide array of experience in a diverse arena providing a clear edge in the job markets of electrical engineering and computer sciences. They have sound theoretical understanding coupled with experience in practical environment as interns, he added and hoped that the presence of industry in the job fair will be a morale-boosting factor for the ITU Graduates. He further stated that together with research orientation and entrepreneurial skills have equipped the first batch, since the inception of ITU four years back, for IT growth and to develop ICT solutions to compete with the World. Pakistan’s IT industry has constraints on supply side, which would be gradually improved. Later, talking to media while replying a question, Dr. Umar Saif said that the current advanced cyber warfare needed strict measures to address the security of servers and computers, however, security operation to protect the assets was active for the last two years. In the ITU Job Fair, host of companies including IBM, Oracle, Dell, HP, Teradata, Ebryx, Infotech, Lenovo, Huawei, PTCL, U-Blox, Teradat, Microsoft, MicroTech Industries, Lamudi, INBOX, Polycom, Wateen, Mobilink, Warid, Zong, Telenor, Careem, Sofizar Pvt. Ltd., Mantaq Systems, FRAG Games, Mindstorm Studios Game Strom Studios, Tower Technologies, Suparco Lahore, Haier, Transfo Power Technologies, Nespak, Mentor Graphics, Punjab Information Technology Board and others installed 25 stalls at the event. Share the post "FIRST BATCH OF 210 ITU GRADUATES AT FIRST JOB FAIR"